As confirmed earlier none other than the Google itself that the LG V20 will indeed be the “first new smartphone” to run the Android Nougat out-of-the-box. 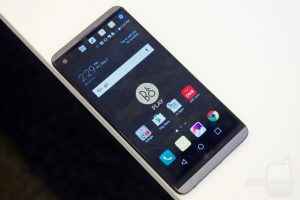 Now, the LG has officially launched the LG V20 smartphone. Though, the Android Nougat has been rolled out for Nexus smartphones, but this is the first device to come with Nougat already installed. Android Nougat brings with it features like multi-window display, ability to reply from the notifications directly and more. Juno Cho, president of LG Electronics and Mobile Communications Company said,” The LG V20 is designed to offer customers a more dynamic experience by building on the most popular video and audio features of the V series,”. 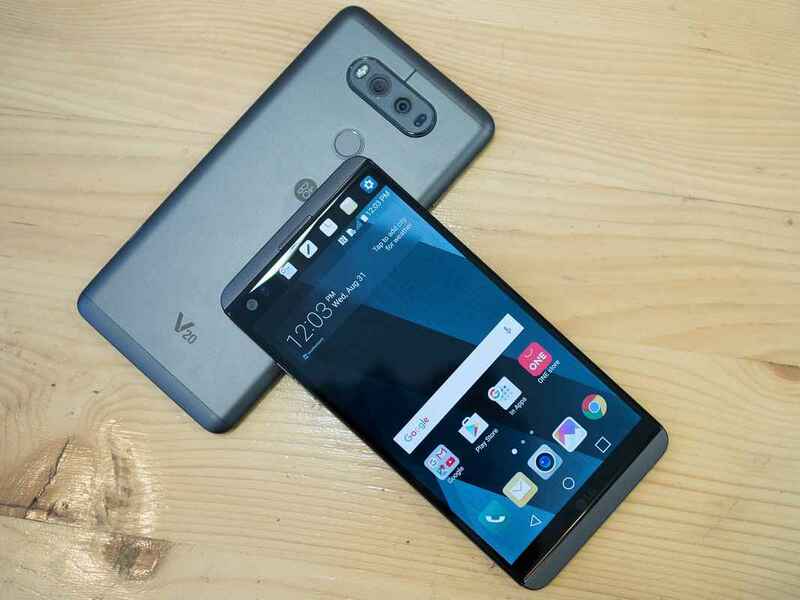 He further added,”With the LG V20, we are giving our customers more of everything they love and less of anything they don’t need to set a new standard for premium smartphones,”. The V20 will be available in LG’s home country of Korea later this month, and is expected to launch in other global markets including US and India soon. Though, there’s no word regarding the price of the LG V20. The LG V20 is made out of AL6013 metal – which is used to build aircraft, sailboats, and mountain bikes – and LG claims it can easily survive drops from a height of four feet. The smartphone features a 5.7-inch Quad-HD (1440p) IPS Quantum display with 513 ppi. There is also a second display on the smartphone as seen on LG V10. The secondary display on the LG V20 comes with a font size that’s 50 percent larger font size compared to the V10, making it easier to view notifications and alerts at a glance. The smartphone is powered by a 2.15 GHz quad-core Qualcomm MSM8996 Snapdragon 820 SoC that comes with 4 GB RAM and 32/64 GB internal storage variants that can be expanded up to 256 GB via micro-SD card. 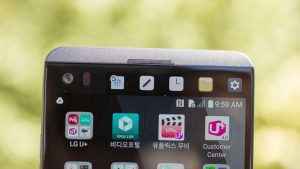 LG V20 of course comes with Android 7.0 Nougat, and the Google In Apps search function, with LG UX 5.0+, an upgraded version of the LG UX 5.0 first introduced on the LG G5, on top. It also features the Multi-window mode, that lets you run two apps side-by-side. The LG V20 features a dual rear camera setup, an 8 mega-pixel 135 degree angle lens and a 16 mega-pixel 75 degree angle lens. The smartphone also features a 5 mega-pixel 120 degree angle lens on the front. 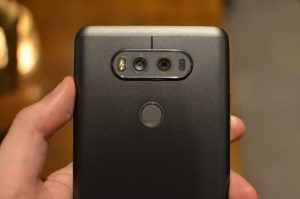 The LG V20’s Hybrid Auto Focus (HAF) integrates three AF mechanisms – Laser Detection AF, Phase Detection AF, and Contrast AF – for both videos and photos. The LG V20 comes with features like 32-bit Hi-Fi Quad DAC (with support for flac, did, diff and alac file formats), HD Audio Recorder, and B&O PLAY speakers, to keep the audiophile in you happy. The device features a fingerprint scanner at the back and is backed by a 3,200 mAh battery. LG V20 will be available in Titan , Silver and Pink color variants. 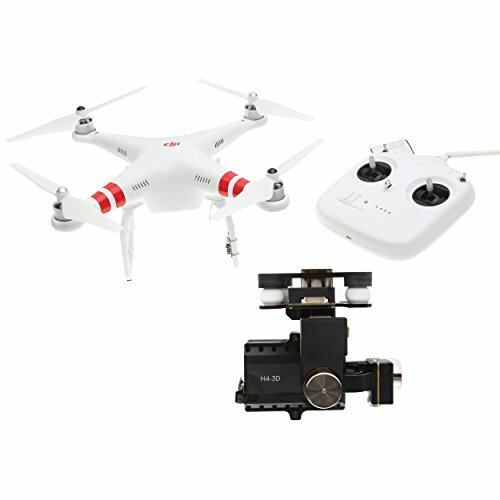 It supports X12 LTE, Wi-Fi (802.11 a, b, g, n, ac), USB Type-C, Bluetooth 4.2 and NFC.